Artemisinin has earned some skepticism in past years for its variety of suggested purposes. With its use as an herbicide, some may be slightly wary of using it as an effective herbal remedy; however, the treatment is just that. This pharmaceutical compound has recently earned status as a potent cancer-fighter among other things. Among its repertoire of beneficial properties are its high efficacy, fast action, and reduce likelihood for resistance. Artemisinin is a Chinese herbal compound derived from the Artemisia plant. The compound is also known as wormwood and sweet Annie. The medicinal benefits of the plant come from the shrubby perennial’s upper shoots, flowers, and leaves. While the plant was initially native to Europe, northern Africa, and western Asia, it is now grown in North America as well. What Health Benefits Does Artemisinin Offer? Wormwood, not to be confused with sweet wormwood, has grown as a popular health remedy in recent years. The herb is used for treating a variety of specific health condition as it offers a number of common health benefits. Among its most important benefits are its sedative and anti-inflammatory properties. As an anti-inflammatory agent, artemisinin reduces inflammation, swelling, and pain throughout the body. As such, it is used to treat a variety of gastrointestinal issues as well as a variety of other autoimmune diseases. This herb acts in much the same way as a traditional oxygen treatment. The herb functions to break down infectious or parasitic particles in the body and to destroy these invasive cells. The herb even maintains healthy cells while destroying the unhealthy cells. Possibly one of the most important benefits of artemisinin is that it is a low-resistance forming drug. It is effective for treating malaria and other conditions because parasites and bacteria have little ability to form drug-resistant strains for this type of treatment. One of its primary purposes in the medical treatment world is the drug’s use in treating malaria. Artemisinin contains a compound known as coartem. This compound is capable of eradicating malaria in more than 96% of cases, according to a study presented by Scientific American. Can Wormwood Actually Treat Cancer? One of its potentially more important treatment applications for many, though, is wormwood’s application as a cancer treatment. According to the American Cancer Society, the extract shows promise as a cancer treatment drug. According to anecdotal evidence; however, individuals have experienced as great as a 28% tumor shrinkage within 16 hours of treatment with artemisinin alone. When used in conjunction with iron, the effects seem to be even better. The main reason that artemisinin is such an effective cancer treatment is that it functions primarily through oxidation. The compound enters the cancerous cells and reacts with iron already present in the body. This reaction releases the artemisinin’s peroxide molecule, which creates a highly reactive oxygen species, much like a free radical. The natural reaction then is for the free radical to destroy the entire cancerous cell. The iron only enhances the reaction as cancer cells feed on iron, and a greater amount of iron in the cells leads to bigger reaction. In terms of actually using the typical wormwood extract, this form of artemisinin is not strong enough, as it only contains 0.3 to 0.5% artemisinin. To treat cancer effectively, you need to take 600 mgs of 100% artemisinin twice a day in conjunction with iron supplements for the treatment to be effective. Is Artemisinin Used to Treat Any Other Health Conditions or Concerns? While this extract is regularly being used as an alternative anti-cancer protocol, artemisinin can be used to treat other health conditions and concerns. The treatment is effective for treating parasites, fungus such as candida, and even certain bacteria. It is also a common treatment for appetite disorders, stomach issues, liver and gallbladder complaints, fever, and irregular menstruation. It can also be used externally for wounds, ulcers, skin lesions, and insect bites. How Do I Use This Remedy? The specific use of this remedy varies depending on the intended treatment option. For digestive issues and other more minor ailments, 100-200 milligrams taken by mouth per day is an appropriate treatment option. However, to follow the cancer protocol, you need to take 600 milligrams of 100% artemisinin twice a day to eradicate cancerous cells and fully treat your condition. 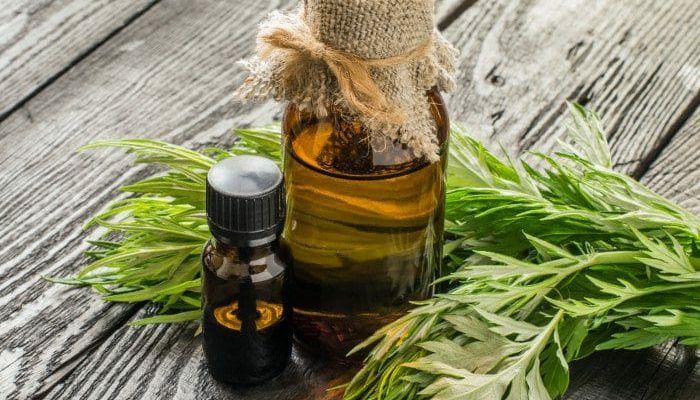 While artemisinin has had a somewhat varied acceptance, it is growing as an effective anti-cancer protocol and as a use for a variety of other conditions as well. This treatment may actually be one of the easiest and most-effective cancer treatments available on the market today. There are different types of artisimi. Which one is the most beneficial? I was diagnosed with lung cancer in April, 2014. I cut out grains and carbs, took BiCarb every morning, used a salt diffuser. I was still congested and bought a salt diffuser and overnight the congestion improved hugely. Then I read asomething about Artemisisin, started taking it around the middle of July, and had been using it for 6 weeks, then I had an xray about 6 weeks ago, and was told by the doctor there a substantial reduction, and that all I had was a bit of congestion in my lower right lung. It's not gone yet, but I feel so much better and can breathe better. This is a post to tell people about this herb. I absolutely will not take any pharma drugs and haven't for 40 years, so there was no way I was going to do chemo. When you start to research, there are SO many natural cures out there and they are suppressed. It isn't a death sentence, but you need to have the right attitude, this makes a huge difference. Check out Ty Bollinger. One of his books is “Cancer, Step Outside the Box”. Well worth reading. Can you tell me what the salt defused was for? The salt diffuser helped to clear the congestion. Not completely but enough that it was easier to breathe in the morning. These devices were developed when it was discovered that people working salt mines had almost no respiratory problems. Hi, am still taking Artemisinin, and will continue for a while yet. I also take Bicarb, have done almost from the start, 1 tsp in water first thing in morning and if what I read is correct about c—- not surviving in an alkaline system, then I must be pretty OK, as I have kept it around 8 for the suggested 10 days. Am also taking Lugols Iodine, 7 drops along with Tumeric Extract and a lung tonic. I also discovered a great Chinese medicine which does wonders for congestion. Ban Xia Hou Po Tang. I am on the mend now, but it has a lot to do with state of mind. Until recently I didn't care, now I do and it's showing. We MUST care and love ourselves first and foremost and I didn't over the last 3 years and really beat myself up. I hope this helps. If you have a problem, what I am doing helps me. Not saying it is a cure all for everyone, but certainly has helped me. Am happy to keep you updated! When I came across your post I was delighted, only due to the fact that I have been doing so much research for my dad who was recently diagnosed with Lung Cancer and you seem to be using the very things I have read as being effective! Of course I'm not delighted to hear anyone has this vicious disease, but I am pleased to hear your course of treatment is working for you, you've also given me some hope! I am so overwhelmed with information and seeing your post really helped! Do you mix your bicarb with lemon? Do you do 10 days on and 3 days off with bicarb, and is it just once a day? How long after bicarb do you take Art and do you take it with anything? I keep reading CLA helps it absorb. Do you take Art at night as well and what is your complete dosage? Do you recommend 10 days on and 3 days off? When and how do you take the Turmeric, and how many times A day? Do you avoid anything, vitamins or food wise? I'm so sorry to bombard you with these questions but there's so much info out there and I just need some info from someone who is actually experiencing it first hand. I'm struggling to know how to proceed and its delaying me giving my dad the treatments!! If there is anything else you recommend me giving him or any tips or advice you can offer; please do let me know! I really hope you are well and getting better all the time! I really appreciate any input you can give and for giving your time most importantly! I spent over an hour on my reply to you and it disappeared. Will try again later, but that REALLY bugs me when something like that happens. I think my laptop needs work. In a previous post, Nip asked about dosages and questions on how and when to take Art, bicarb and turmeric. I don't see your answer on the post and would like to know as well as I have a friend who is diagnosed with lung cancer and I would like her to have this info as well. My mother has a stage IV NSCLC (non-small cell lung cancer) and has been taking artemisinin for 6 weeks. She is having exactly the same (detox?) simptoms you had. She has been sweating a lot in the night, and can hardly stand up. How are you now? I need help to know how to take all the items you mentioned on your message. I am Chinese, do not write and spell well. Please help me with the same questions you have last year. I have stage 4 lung cancer. I'm interested in the dosage you were taking and if it was the 100% Artemisinin…and if so, where did you find it and in what form? I have found the 100mg online, however, they aren't the 100% Artemisinin. Hello. How are you taking artemisinin? Dosage? Are you taking something else as well..
No data on humans but I found this on dogs,, it mentions you..or dog have to have breakfast high in Vitamin C and E and then lunch with protein I believe and the Medicine is the way to give it to dogs in Dog trials,, it mentions human trials are years ahead so I doubt any one will feel safe to prescribe it, but I I was to test it I would do it like that and would for it for 5 days and start with 100 mg a day. I am not currently taking Artemisinin, but will start again in a few weeks. I haven't been back for another xray (radiation) but my intuition is telling me it's on it's last legs, this is just another kick!! I take Doctor's Best, I buy it through iherb.com. When I start again, it will be 6 x 100 mg when I wake in the morning and 6 x 100 mg last thing at night. I still take bicarb in the morning. 10 days on, 3 days off. Did you do research on paraffin oil? It's worth a try. Congrats… I heard of using the chinese worm wood but in a different way..
A study showed that if you are not sedentary, you will need to move around a bit for it to circulate in the body but this factor cured cancer and tumors in 16 hrs. You will need to eat a food rich in iron. Like chickpeas/ garbanzo beans then an hour after your meal you take a few drops of the artimesisin and wait. This doctor said not to repeat this for more than 4 days because it can accumulate in your liver….I would say def not for people with bad livers. If you're sick your first thing should be to clean your gut and intestines, then adrenals and lymph systems, kidneys too this way you can eliminate the toxins properly. Eat 80% fruit. Or at least try. Also for lungs steam palo de arco drink, topical and steam. Leenott, can you give us an update on how you're doing with your artemesinin therapy? Has it helped you? Antonio, can you give us an update on how your mom did with the artemisinin? How is she now? You've reported interesting information here regarding artemesia and cancer treatment, but I believe what you've reported is gravely misleading and here's why. You've presented this as a broad treatment for cancer. There are many different types of cancer and the studies have been done only in vitro. The problem with these test (I speak from the experience of a basic science researcher) is that you are using an article environment and usually using doses of the herb that are much greater than that can be physiologically achieved. In addition, you've reported or inferred that the cancer will be gone or affected in 16 days. Cancer patients are reaching for life, they fear conventional drugs and the side effects. To dangle this in front of them is wrong to me. One more thing, if a patient uses this herb with certain chemotherapies, there can be interactions. You haven't mentioned this either. I would encourage you to be cautious about making any statement regarding cancer treatments or cures based on in vitro or poorly powered studies. For every question there is an answer. For every problem there is a solution. Western medicine has never cured a cancer. They cut it out, but never cured it. So why even think of going to the zero out of a million, who benefits from your pain by selling you the business of cancer treatment. Western medicine is bunk. I am a retired RN and it is bunk, I have never seen anyone healed by western medicine. Or even properly diagnosed. HI U LISA, , , , , , , , , , the booger bears are going to get you girl. You can't speak the truth least the Big Pharma police will come after you. Of course you are right on. The DR. ahead of you toed the line, which you would expect. I get a charge when an MD writes the local newspaper editor about why a road needs to be paved and then signs his name ….MD. Kiss my grits. What has a title of MD have to do with a road being paved. He will die of drowning when he sees his reflection in the water pool and falls in love. No where in my post did I say that it was for all cancers. ALL I mentioned was lung cancer as that is MY point of interest.Also that it had reduced when I took Artemisinin. I also said I wouldn't go the chemo route, so I have no idea if it reacts with chemo. ALL I said was it helped ME. NOTHING more and I have/had no intention of misleading anyone. WHERE did I say it would eliminate cancer in 16 days ? I have no idea if this happens, all I can report on is what is happening with me. Beverly, Lisa was not referring to you. Her comments were directed to the Earth Clinic contributor and the information shared that started this topic of discussion. I hope all is well with you and everyone else who was experiencing a health challenge. Any updates that you can provide (Beverly, Leenott, and others) would be great. It's been a while and challenges with cancer specifically is something that requires consistent conversation, over time, to show true milestones for healing. Thank you for sharing your experiences. It is greatly appreciated. Best of Health to Everyone! I am a supporter of Artemisinin. I know several people that were totally set free of breast cancer and medically proven in just a few days. Biopsy to prove it. God did make things on this earth to treat our bodies. It is however proven that 98% of chemo treatments only make people sicker and doesn't help. Radiation is extremely dangerous also. I wish I could share medical proof here but I cannot. I am a huge supporter of Artemisinin and other natural ways to fight horrid cancer. I have dealt with cancer my self and please, believe me, it does help. I think people should be careful what they say when they only have opinions and not any proof. People are fighting for their life! question: what was the dose to heal cancer and how can one take the atermisian? I feel very excited after reading your reply about breast cancer and Art. I have breast cancer and have just started taking Swanson's Full Spectrum Wormwood capsules. I am taking 425 mg twice a day. I have been unable to find on the internet how much iron one should have in their system (blood test results) or what amount of iron supplement is needed. My family doctor does not support me with alternative remedies and I do not plan to go through conventional treatment (thank you Ty Bollinger). My plan is to do 4 days on and 3 days off as I read that the body gets used to Art and stops absorbing it. The 3 days off resets the body to absorb again. This is according to Dr. Saputo's youtube video. Do you know how much iron the people you know who healed themselves of breast cancer took? Thank you. I don't believe that full spectrum wormwood is 100% Artemisinin. Its price is only a small friction of the cost of pure 100% Artemisinin brands, while it offers far more in the way of micrograms/ milligrams. According to cancure.org "Artemesia herb products are not the same as the concentrated forms of the derivatives …. The highest concentrations of artemisinin (the active agent) in the raw herb in the best of conditions does not even get beyond one-half percent. Dr. Singh tested some products, finding perhaps only 10-20 percent of anti-cancer activity against cultured cancer cells compared to pure artemisinin. Allergy Research Group distributes a high-grade artemisinin confirmed by independent lab analysis.." I'm only beginning to take pure artemisinin for a fungal infection, so can't report more at this time.